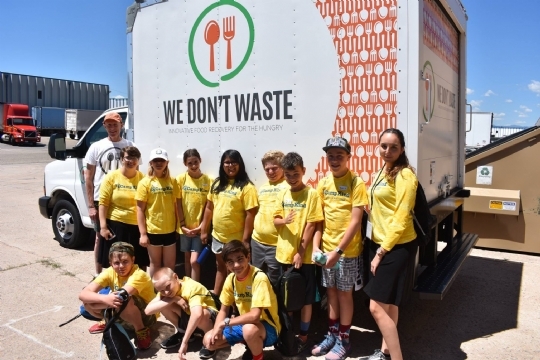 Learn the workings of We Don’t Waste that has recovered over 17,000,000 meals for the hungry. Help manage food donations for We Don't Waste to distribute to local food pantries. 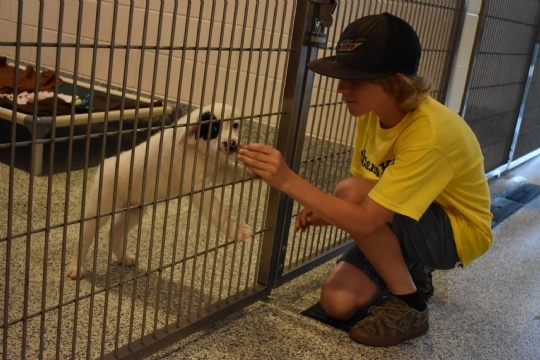 See the behind the scenes and workings of an animal shelter and learn the importance of humane treatment of animals. Visit the maternity ward of Denver Health and get a peek at the newborns. 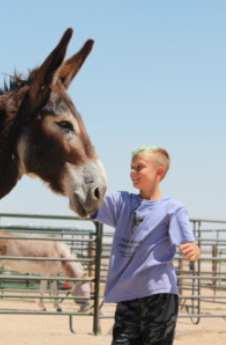 Camp Kind’s message of kindness should be no secret. 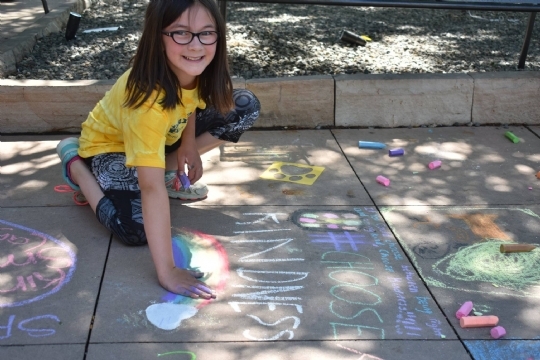 With a Chalk of Kindness, Camp Kind campers spread their message of love to the public with their carefully crafted messages of hope, kindness and encouragement. 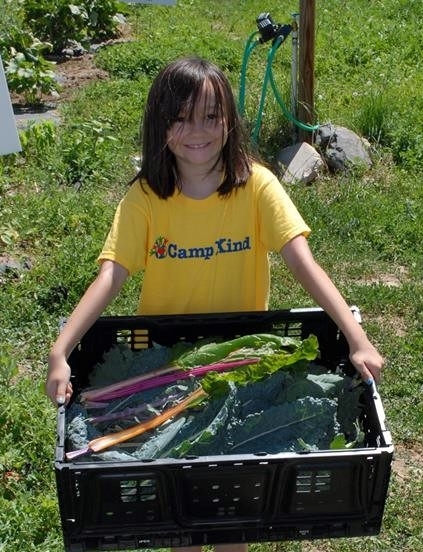 Showing appreciation is what we do at Camp Kind, from encouraging the kids to say thank you to being kind to one another. A special thank you is always deserving to our Police and Fire personal. 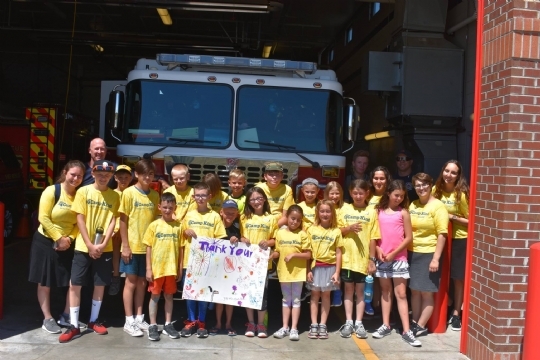 The trip is always much appreciated by both the campers and the police, ambulance and fire personal. Painting a barn or corrals. See our calendar for dates of this trip. 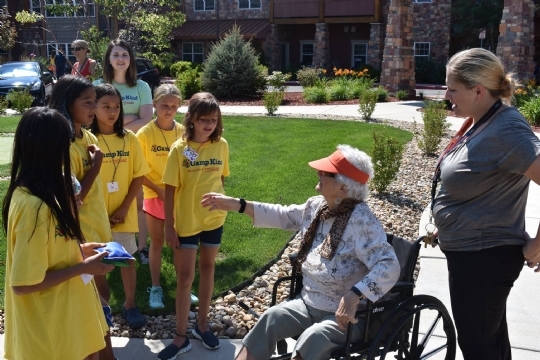 Campers will visit St. Anthony's North Health Campus and work with florist Cherry Blossoms and her staff to make flower bouquets and get well cards to be delivered to the hospital patients. Campers will also have a tour of the hospital and learn of other ways they can volunteer and help patients. 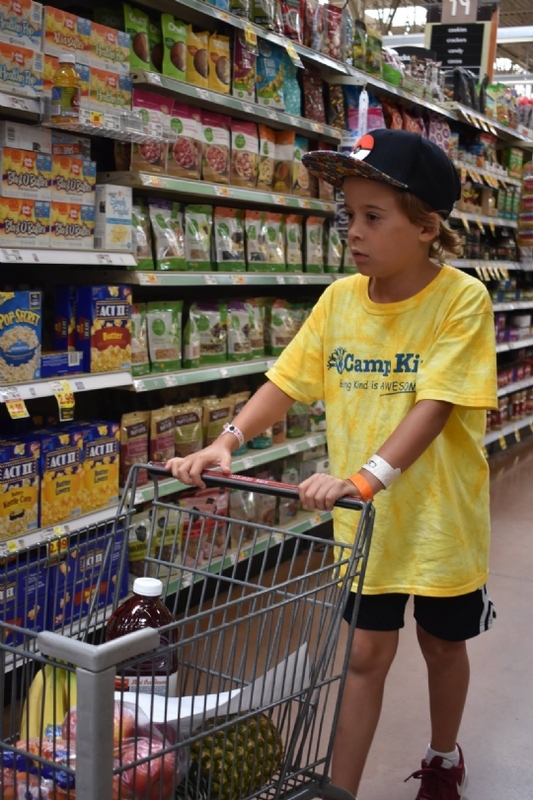 At Camp Kind we teach the campers to have empathy with families who rely of safety nets for their basic needs. 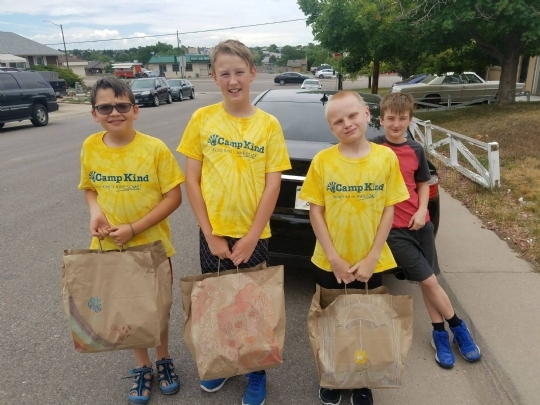 To accomplish the campers go on a field trip to King Soopers with a $5 gift card to buy dinner for a family of 4 using just the amount on the card. 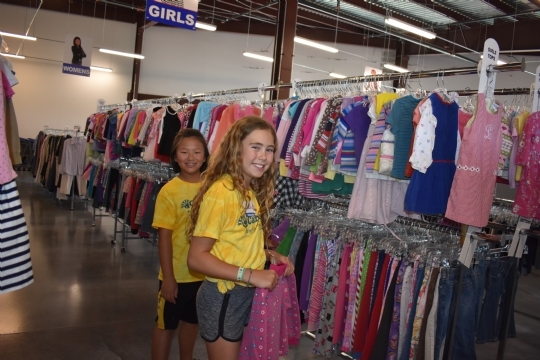 This experience offers the children a hand-on experience to the plight that many parents face when they go shopping for food on a shoe string budget. 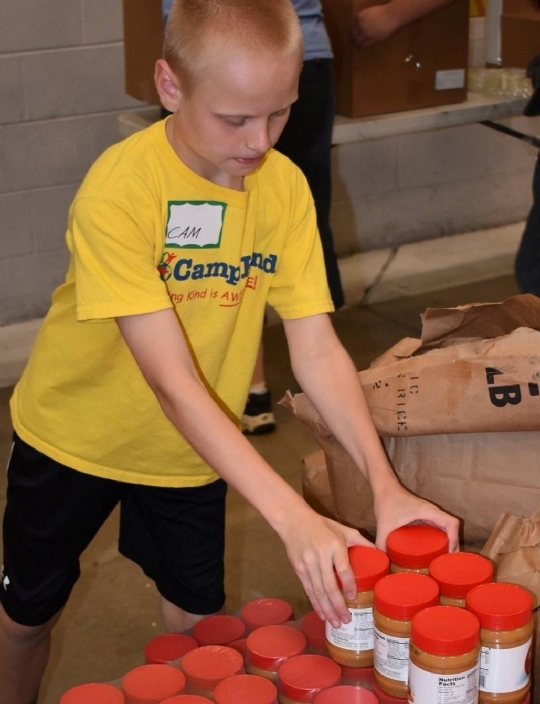 The campers then visit a food pantry where they sort the food and learn about the how community organization can alleviate the food poverty of underprivileged families. Once a week (typically of Thursday) there will be a full day fun trip. Please note all campers will be accompanied by our staff on our fun trips below. 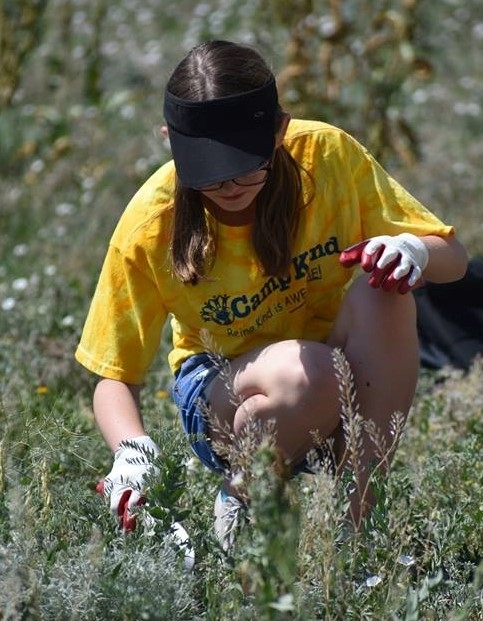 Campers over the age of 10 will be given the option of enjoying the trips without a staff member and with other kids, if permission is given by a parent.